Streaming internet television is fast becoming the rage and the data is there to prove it. Cable subscriptions are declining rapidly to a point of no return. This should be of no surprise to anyone with a pulse. Cable prices have skyrocketed, programming stinks to high heaven, there are a zillion irrelevant commercials, their rigid policies are hostile to bundle packages, and the worst sin of all, cable has become absolutely boring. I’ve tried the Netflix thing and it’s okay, but I’m wanting more for my money, so I’ve become more interested in the Amazon Prime package. Here are ten valid reasons why both you and I should subscribe to Amazon Prime on Amazon.com . 1. Save Money with FREE Two-Day Shipping — Free shipping is the way to save money. With the luxurious Amazon Prime, the options are out of this world. Whatever necessity brings to the table, home or office—satisfy the shopping itch—with the two day shipping plan. Prime members also get FREE Same-Day Delivery on over a million items when shipping to selected metro areas across the United States. And if you don’t receive your order within the two-day time frame, Amazon will extend your Prime membership for a full month! 2. Watch Unlimited Movies and TV Shows — See what’s on this week at Prime Video . Popcorn anyone? Who doesn’t like to sit down with family and friends on movie night? It’s always prime time when your options include epic film classics and those popular TV shows. While some will catch that favorite episode on conventional TV, others will use the laptop or maybe the Kindle Fire. There are many options here. Next Saturday night, we’re sending you back to the future! 3. Unlimited Music Streaming — Enter Prime Music , a service that provides unlimited, ad-free access to over a million songs and hundreds of custom-built playlists. Bring it on Ludwig van Beethoven! 4. Membership Privileges Include Over 800,000 Free Ebooks — Enter The Kindle Library , with over 800,000 books. Fiction or non-fiction, find your way to the classics. Borrow one book a month, leave behind the trivial library due date issues. Discover your next classic and sit down to relax. 5. Members Gain Early Access to Lightning Deals — Stay ahead of the game. Get 30-minute early access to Lightning Deals on Amazon. Save money on shopping deals. 6. Easy Access To Fashion — Always look your best with MyHabit.com. Are you interested in the latest fashion trends? Would you rather fight the crowd or just keep it simple and order online? No problem. 7. Free unlimited photo storage — Introducing Prime Photos. Your cherished memories are safe in Amazon Cloud Drive and accessible anywhere you are. 8. Shopping Online With Prime is Safer Than The Freeway — Whether it’s raining, snowing, or freezing outside, online shopping is much safer and more convenient. Save on gas while you’re at it. 9. Get pantry items delivered to your door — With Prime Pantry you can stuff a box full of grocery, household, and pet care items for a flat rate delivery fee of $5.99. Food delivery! 10. Share your Prime benefits — You can invite up to four other Amazon users to share your free two-day shipping benefits with. And you can share all your benefits with one other person in your household (they must be set as an “Adult”). 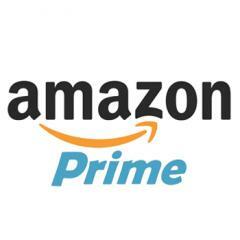 Note: After the 30-day free trial, Amazon Prime is only $99 per year. Cancel anytime you please.